Industry-leading research and development, combined with extensive testing ensures that our DESCALER SOLUTION can be used across a whole spectrum of machines. This product can be used manually or through a machine’s automatic cleaning system to remove milkstone deposits and/or scale and prevent blockages in machine components. SAFER TO USE — The DECALER SOLUTION is classified only as an irritant as compared to alternative corrosive descalers, eliminating the risk of injury to operatives and customers should they come into contact with the product. FOOD SAFE & NON TAINTING — Our product solution contains a food safe and non tainting descaling agent, making this safe to use on food contact components and surfaces such as machine steam wands, whipper bowls, drips trays, machine nozzles, work surfaces, etc. EASE OF USE — Our product is supplied in easy to use sachets or in a tub with a convenient scoop so ensuring that the correct amount of product is used on each clean, eliminating product wastage and incorrect cleaning regimes. 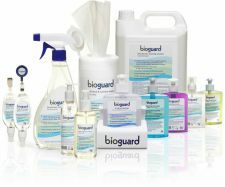 Use product on a weekly or monthly basis, dependant on local water conditions. For service engineers, use as required. Pour sachet or 2 doses of solution into 1 litre of warm water or directly into boiler or milk container for milk lines and follow machine manufacturers recommend cleaning instructions.